Are you ready to make this home sweet home yours? Run don't walk to tour this beautifully rehabbed 3 bedroom 1 bathroom brick cottage! A brand new contemporary "Shaker Style" cook's custom kitchen, with all new stainless appliances is awaiting your arrival! 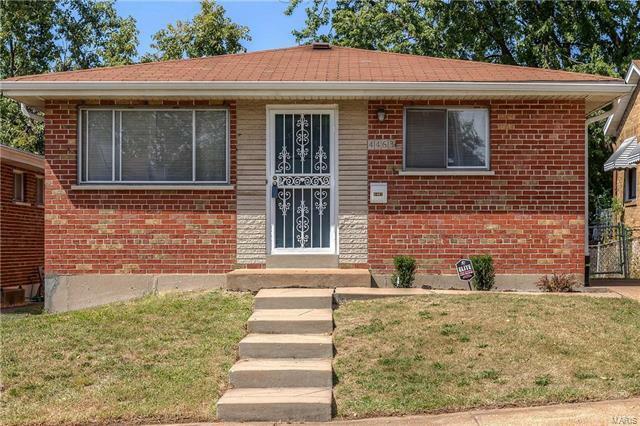 Fresh paint throughout with 6 panel doors, double closets & a sweet retro tiled bathroom. Newer heating & cooling systems. New lighting & security system. Beautiful glowing hardwoods throughout with a ceramic tiled kitchen & dining room area. Lower level laundry & family room with plenty of space to make your HGTV dreams come true! Full COMPLETELY DRY basement with recently added water proofing perimeter drains & sump pump & pit. Make your plans to see this awesome & inspiring updated move-in ready home! Can you see yourself here??? throwing some shrimp on the barbie...settling in your hammock with a nice cold refreshing beverage...petting fido in her new fenced in back yard? Yup that's you! Hurry, call your favorite savvy realtor! South on Grand to west on on Osceola or Taft to 38th Street.